I’ve been playing with covers lately, particularly Isto’s cover. I want to go with a series look, but have been struggling with how to portray the images (stone background, symbolic clan mark). Right now, it looks like a horror novel. But in the midst of my playing, I got side-tracked title manipulation. I wound up with the Niniers banner you see at the top of this post. My friend Dani said it was very Game of Thrones. My boss thought the ‘S’ looked like a dragon. The style would go very well with book three, Sovereign, and if I splashed a bit of red on it, it would work for Isto too. But then, I’d want to change Thanmir War too. 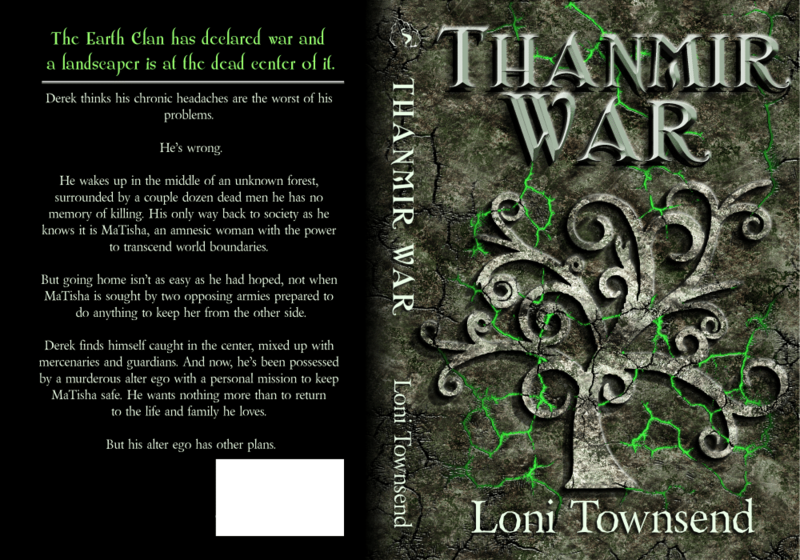 That’s not a bad idea, since Joel Friedlander said I’ll need better typography for Thanmir War’s cover to really pop. Since there’s no harm in trying, I toyed with it. I changed the font sizes to tighten up the space between words. It’s still wrong. The gloss on the metal is from the wrong direction. It should be coming from the top right, not the left. It’s also too dark. And too wide (it overstretches my e-book boundaries). That aside, do you like the metal look better than the solid color? I figure if the popular opinion is yes, I’ll slowly “damage” the metal as the titles progress, ending with the jagged look you see in the Niniers banner. Oh, and if you haven’t heard, Thanmir War is on sale for $0.99 on Amazon! I don’t want to hog all of the news, because there’s a lot of great things going on. Crystal Collier‘s new book, Soulless, has hit the digital shelves. Carrie Butler is doing a super helpful blog series called Breaking It Down. 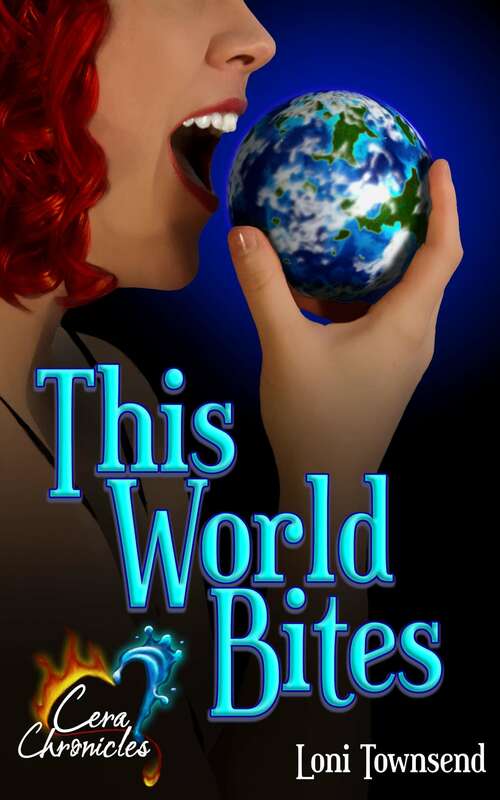 The talented authors at Untethered Realms have released their Twisted Earths collection! 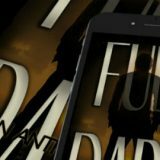 Julie Flanders released The Turnagain Arm, a prequel to Polar Night. Like I said, a lot of great stuff going on! Have you picked up your copy of Thanmir War yet? Which cover title do you like better? Do you like to play and create graphics? And if you like the new lettering on the cover, go for it. It’s got a cool look. I do like the metal look. It’s a nice place on the metallicky tree. The metal look for the cover font fits better, but I do agree the gloss seems to be coming from the wrong direction. 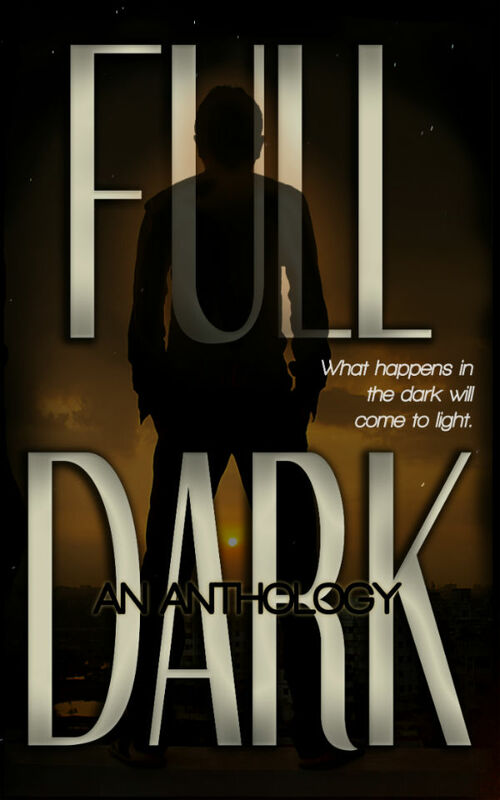 My skills are pretty mediocre for cover design, but it is something I like to tinker with. I really like the metal look. And I love the idea of it “damaging” as the series progresses. My only caveat is that it may blend too much with the gray background, especially in a smaller size when listed on Amazon’s site. I like the new font! Like the one at the top as well. 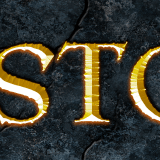 The S does look like a dragon. Aw! Thanks for the mention. The cover looks great. I like the metal affect. As I look at it though, I think the topography would really be set off by contrasting colors, which I don’t think will work with this cover. I think it’s good. 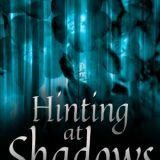 It definitely communicates the genre of the book and instills some intrigue. 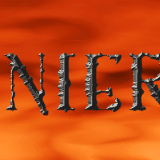 ooo, I LOVE the banner for Niniers, and agree with all of the comments you quoted – it’s very GoT, and the S does look like a dragon. Love it. I think ‘damaging’ the metal for Thamir Wars is a great idea 🙂 I’m clicking off now to tweet for you! I like the metallic look. It’s sharp. Oh all the little details to fiddle about when it comes to covers! I did do all the covers for the 13th Floor series. Once I had the first two, I knew what kind of look I wanted for the rest of the novellas. It took me over two months to decide on a look for the collection, though. It’s not exactly what I wanted, but I couldn’t create the hallway of the 13th floor myself! I wish I had your gift of design. I really like the metallic. It makes the title POP. Well done!! Damaging the metal over time would look cool, but I wonder, does it have to be silver? Whilst it certainly is better than the flat white, it does blend in a little too well. Perhaps a shade towards bronze would pop more from all the stone behind it, especially for a thumbnail. I think you’ve done a great job with the covers. The S really does look like a dragon. Now, I am off to get my copy of your book!! 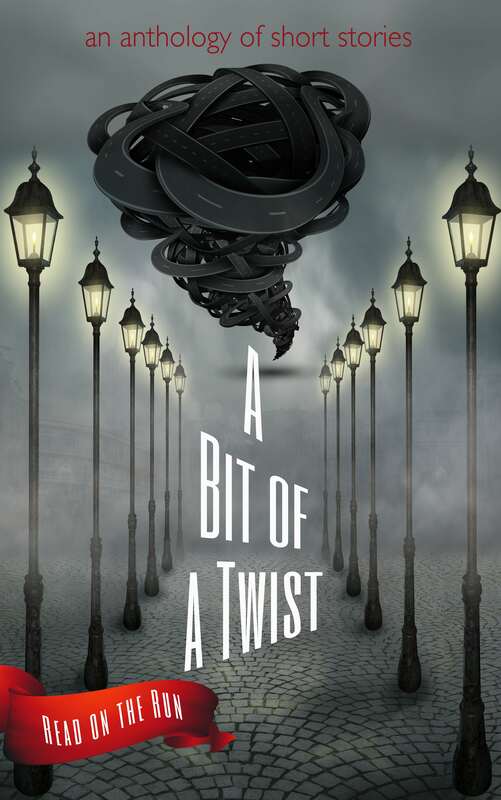 I think the cover tells the reader exactly what the book is about–which is really what a cover does. Everything from the logo to the colors creates “branding,” just as a product’s label brands the product it’s attached to. Great job! This also makes me glad I don’t have to worry about designing my cover! Woot! Lots of good news. I love the Niniers banner font. 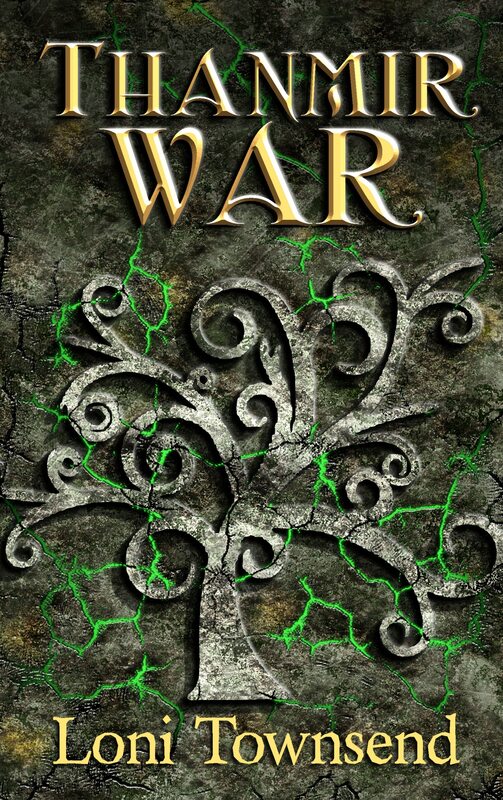 And I like the metal Thanmir War font, but I still see the tree image first. Could you maybe add some of the green color to the title to make it stand out more?